Hopping Fun Creations - What Can We Create Together? June 10-11: Philadelphia, here I come! The past, present, and future walked into the same room. Q. How many creatives does it take to change a light bulb? A. That depends: What do you want to change it into? Q. How many editors does it take to change a light bulb? A. Three. One to change it. Two to change it back. A: Tell me again, "Why do we have to change it?" (founded 1996) is my editorial services company. We create games (digital, analog, social), multimedia scripts, interactive stories, books (50+ titles! ), and other jazzy content for clients. Please check out my many successful projects and satisfied, repeat clients! I enjoy creative collaborations and have plugged into projects as creative lead, writer, editor, narrative designer, game designer, and consultant. I can direct a creative project. My five digital journals (2016) are a unique blend of fiction (Alice's travel adventures during her gap year) and nonfiction (cultural and language learning). 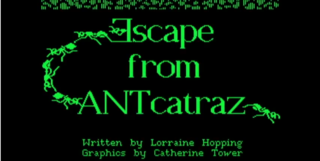 I wrote "Escape from Antcatraz" (Scholastic), my first adventure game script, in 1985. I LOVE writing digital stories and designing games! Here's a Pioneers of Computing interview with me about the early days of writing video games. Titles include narrative nonfiction and fiction for tweens and teens and books of games and activities for all ages, with more than 2 million copies sold—so far. Whatever the topic, fiction or nonfiction, I love to tell a great story. 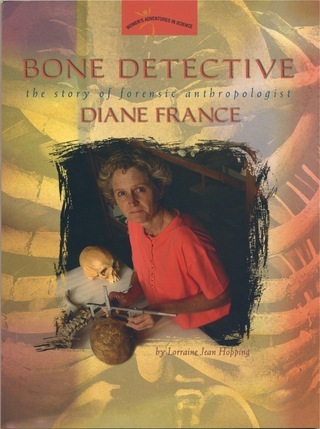 Bone Detective is one of my best-selling books for tweens. I invented a dozen board games. 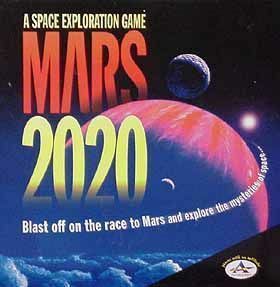 MARS 2020 is my well-reviewed board game, 16 years in print and endorsed by astronaut Jack Lousma. Click on "My Creations" (above) for more published board and card games. I've also created HUNDREDS of casual and learning games, print and digital. I make FUN educational games. My bestselling book of games for teachers has sold 90,000 copies and is still going strong! 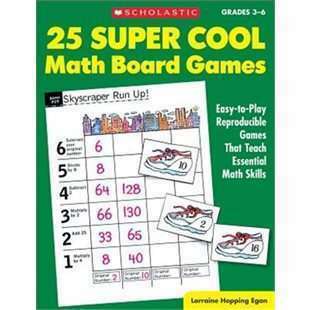 As a former writer and editor at Scholastic, I learned the K-8 curriculum inside and out and worked with many excellent teachers to create materials (print and digital) that engage kids in math, language arts, history, geography, science, and technology. Teachers and other educators, see what games and other activities I've created just for you. 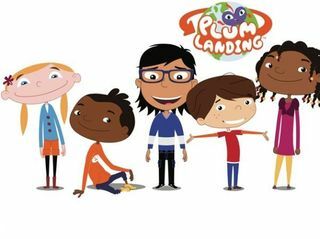 Plum Landing: Animations, videos, games, and activities about nature. "It went well. A major understatement. We got almost all our ideas approved. That is a feat because the producer is an excellent writer, editor, and curriculum developer. She is never so easy to get approval from and was completely impressed. I attribute it all to you. You did an excellent job describing the activity ideas. You hit all the right points: urban connections, science concepts and skills, your experience with some activities at SuperScience, possible adaptations, and more! Thank YOU, Sonja Latimore, Editorial Manager, WGBH-PBS, a pleasure to work with you, too! "Thank YOU, Lorri. You've been an incredible asset to the project. Your wealth of prior experience, creativity, and collaborative spirit are just a few reasons why it's been so great to work with you." "Lorri is naturally inclusive, full of inspiration and energy. These are terrific attributes for those, like us, who inhabit a virtual environment developing and stretching a transmedia property across platforms and markets. In addition to core writing and editing skills, she has demonstrated strategic thinking and delivered raw ideas through execution. 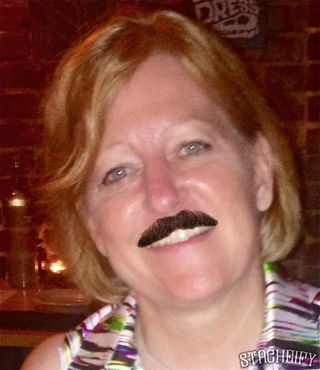 It has been a thrill to have Lorri be part of this effort and we have loved working with her." 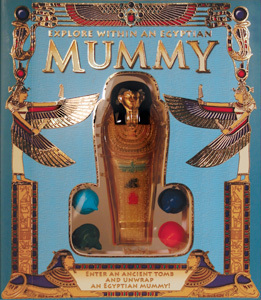 There's a model of a mummy embedded in the book! “Lorraine has written several books for becker&mayer! Each book required extensive research, a high degree of creativity, and the ability to meet ridiculous deadlines. "Lorraine wrote fiction for Microzine, a Scholastic software product, that was funny, educational, and scientifically sound. Our interactive fiction was a new medium back then, and Lorri just "got it." 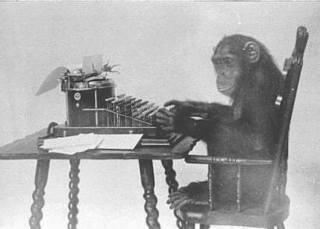 She understood the capabilities and limitations of the machine and used it to the story's best advantage. All that insight, plus her professionalism in meeting deadlines and working with our editors: she was a delight to work with." 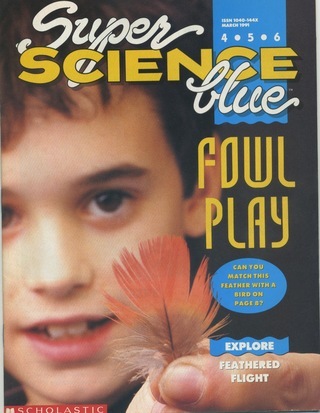 I was the founding editor of this national children's magazine. 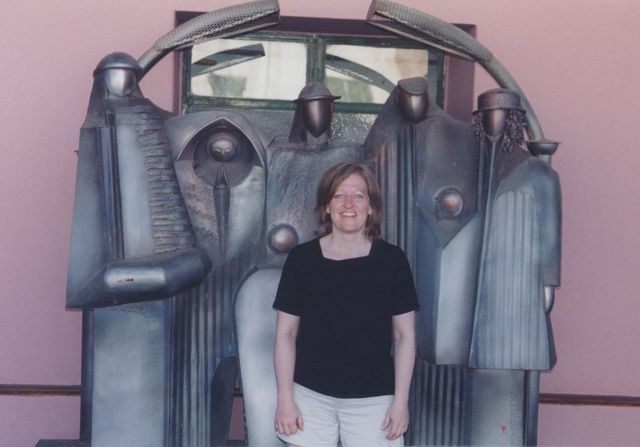 "Lorraine Hopping Egan is a tour de force writer, editor, and creator of games. I learned an enormous amount under her tutelage at Scholastic (as an associate editor on SuperScience magazine) and continue to be impressed by the books, games, and other materials she creates." 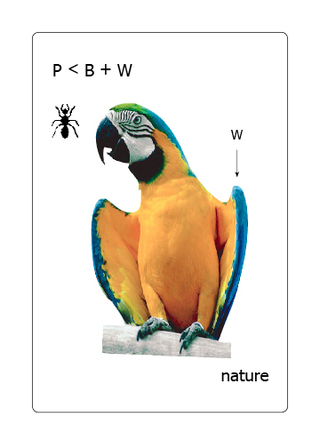 LETTER PERFECT ENGLISH is one of dozens of ESL/ELL games I created for teaching adults. "Lorri has so many ideas, angles and original products, it's amazing! She does a masterful job of balancing ideas and enthusiasm with experience in such a way that her process and products are realistic and engaging. Highly motivated and creative. She's a natural collaborator." 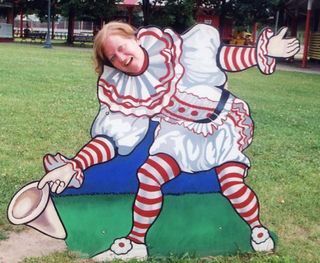 Let's have a little fun a long the way.